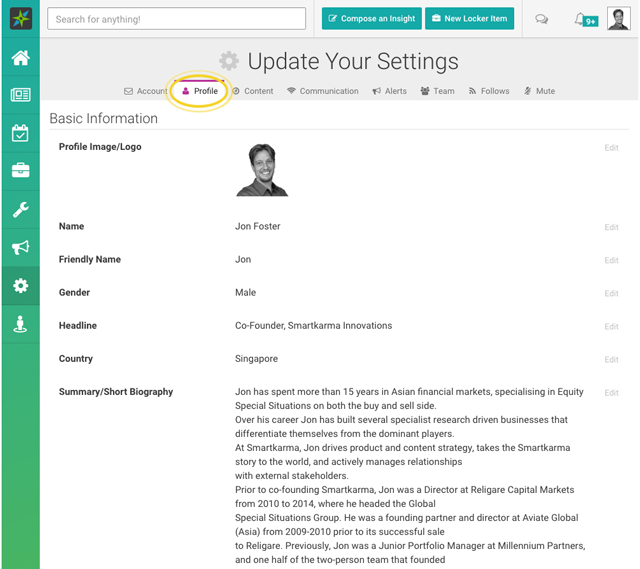 You can change your preferences by accessing the Settings menu by clicking on your profile picture, located at the top right-hand side of your screen. Alternatively, you can access the Settings menu on the left-hand sidebar by clicking on the cog icon. 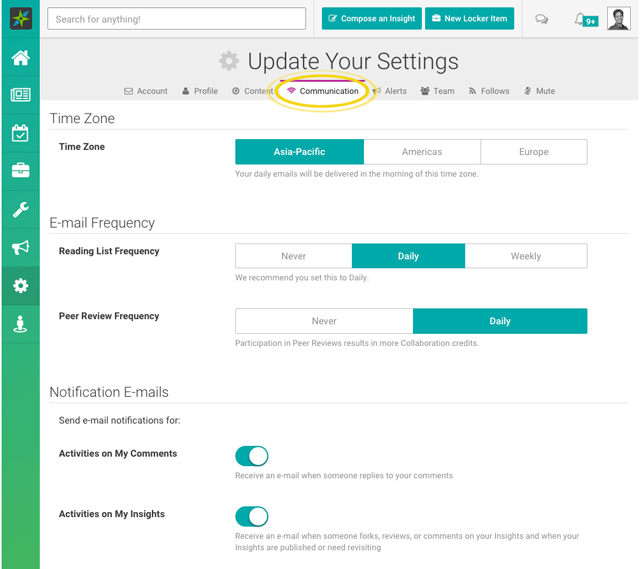 In the Settings menu, you can change your profile details, your login password, and your content and communication settings under different tabs. 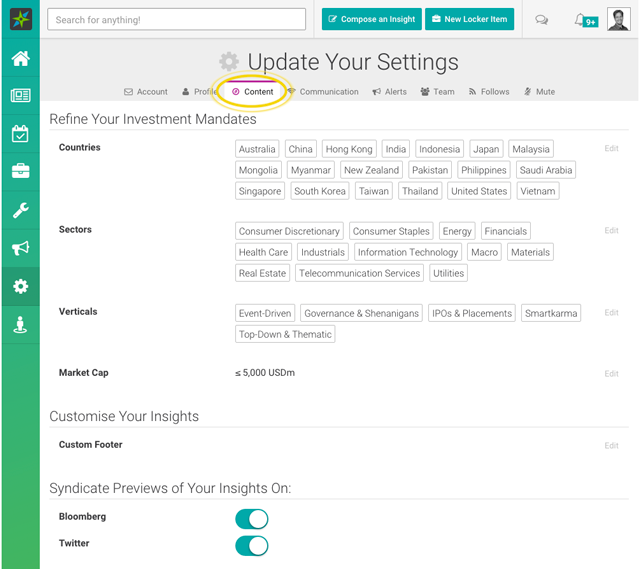 Your content settings are set up at the time of your sign-up according to your investment mandate. They help define what goes into your personal Reading List. 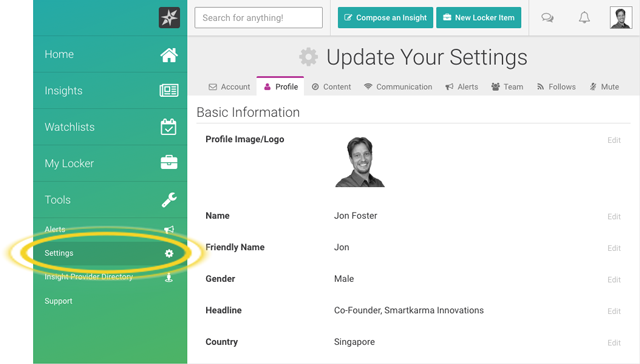 You can edit your content preferences at any time by changing selections such as Countries, Sectors, Strategies, and Verticals under the Content tab. Your current selection is also visible under the Content tab. You can change any of these fields by clicking on the particular mandate which will then display all the available options to you. Please keep in mind that the selections you make in the Content tab will dictate which Insights will automatically appear in your personal Reading List. 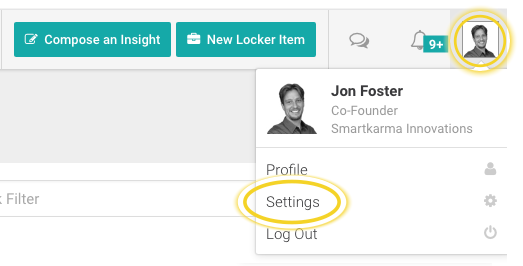 We aim to keep your inbox clutter-free, and hence, we will by default email you once a day to let you know which new Insights have been published on Smartkarma. You can choose to alter your communication preferences, as per your requirements. You can also opt in for real-time alerts which will ensure that you don’t miss out on any time-sensitive Insights, as an email will be sent to you each time an Insight which fits your investment criteria is published.